A Macau gaming law scholar says Macau Gaming Law – also known as Law No. 16/2001 – needs to be revised in order to address the validity of the current sub-concession system. Luís Pessanha also suggested the establishment of a “broad legal framework” for non-casino games in the city. The legal expert also said he thought SJM Holdings Ltd and MGM China Holdings Ltd – two of Macau’s current six operators with rights due to expire in 2020 – would be given extensions until 2022 when the other four current licences expire, in order to “synchronise” the process regarding what will happen afterwards. Mr Pessanha – who is also a legal advisor to Macau’s Legislative Assembly - stressed he was speaking on the topic in his capacity as an academic. He is a scholar and lecturer at the University of Macau, and participated on Thursday in an international conference with the theme “Gaming concessions and other gaming licensing legal experiences”, hosted by the Faculty of Law of the University of Macau. Three of the current six operators in the market – namely Sands China Ltd, MGM China Holdings and Melco Resorts and Entertainment Ltd – were allowed into the market via a piece of legal improvisation. They actually hold their gaming rights via sub-concessions spun off from the three original concessionaires selected via a 2002 public tender. The three original concessions under the 2002 process were the locally-incorporated units of Galaxy Entertainment Group Ltd, SJM Holdings and Wynn Macau Ltd.
Mr Pessanha said in his remarks at the conference that the sub-concession system could be at odds with the legal purpose of the Macau Gaming Law, which clearly states the number of gaming operators to be no more than three. “Personally, I am not convinced that the sub-concessions are fully valid. There is an issue of breach of law with regards to the number of casino concessions,” he said during the conference. According to the scholar, the granting of the three gaming sub-concession licences did not follow Macau’s public tender rules; and since 2001, there had been no direct reference to the sub-concession system in the local legislation. But these so-called sub-concessionaires have in fact “little difference” compared to the three concessionaires in terms of their licence contract terms, the scholar noted. The scholar also gave brief remarks to reporters on the sidelines of the conference regarding the upcoming refreshments of the city’s gaming rights. “In my view, I think that, as things stand, the [gaming framework] law has to be revised either to remove the requirement of a public tender, or to eventually allow for an increase in the number of operators. Therefore, such decision depends on what the option is regarding the number of operators,” Mr Pessanha told reporters. But he noted: “If the government … says it wants more operators, then a public tender becomes inevitable,” he added. Ambrose So Shu Fai, chief executive at SJM Holdings, had mentioned previously to the media that the firm’s intention was to seek a two-year extension for its Macau gaming concession prior to its scheduled expiry in 2020. On Thursday, Mr Pessanha said there would still be enough time to deal with the refreshment of the gaming licences. “I believe that the two concessions that end in 2020 will be synchronised to 2022, which means that we will have time to address this issue. But we have to start this process soon, we cannot wait until 2020,” he noted. During the conference, Mr Pessanha also suggested the creation of a “broad legal framework” for non-casino games in the city – namely the pari-mutuels, sports betting or lotteries and online casino gaming. 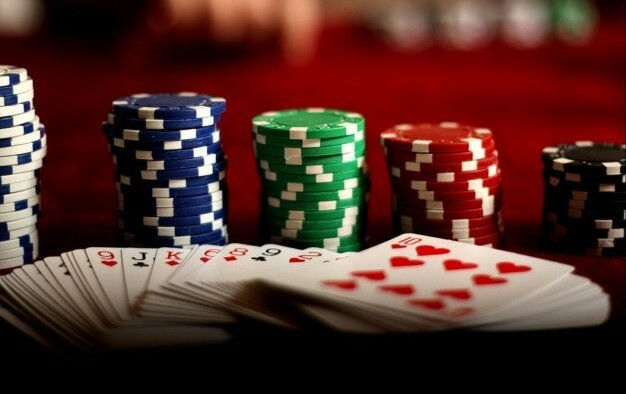 A consideration is needed as to if changes are needed to permit the casino operators to offer these non-casino gaming products to the general public, he noted. These types of gaming products are currently not included in the scope of the land-based casino gaming concessions. There is currently no specific legal framework with regards to non-casino gaming concessions, which are mostly now regulated by various concession contracts and “scattered legislation,” said Mr Pessanha. “Now is the right time to think about this thing [regulating non-casino games] because … in 2022 to 2025, something has to happen,” he said, referring to the end of the current cycle of casino gaming concessions. Online gaming – which Mr Pessanha described as a “forgotten issue” – requires more “planning” as to its regulatory terms and a general legal framework. “It [online gaming] is not an absolute taboo – it is happening,” he said, referring to the fact that the horse racing betting concessionaire Macau Horse Race Co Ltd and the sports betting concessionaire Macau Slot Co Ltd have already been accepting online bets through their websites.